At Stone Tile Company we pride ourselves on the excellent selection of bathroom wall tiles we have to offer. The bathroom is much more than a functional space and is now seen as one of the main rooms to get creative with your interior design so we have ensured that our range of bathroom wall tile range is full of inspirational tiles. Mosaic tiles are a popular choice at present, and when used in the bathroom, these add vibrancy and class. Our lunar copper metal & glass modular and lunar gunmetal grey metal & glass modular mosaic tiles are both popular options, especially when combined with coordinating polished porcelain tiles. Split face mosaic tiles are a key trend, providing your bathroom with a textured feature wall that will add character and class. We stock sparkle white, sparkle grey and sparkle black quartzite options amongst our broad and very popular range. 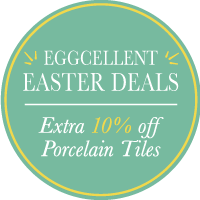 We also stock beautiful porcelain wall tiles in a selection of crisp colours that will let you create a hotel chic space. Perhaps you’re looking to give your bathroom a sleek, simplistic style? Our Alpine Pearl, Alpine Smoke and Alpine Natural options do just that. With a smooth wooden look, you can turn your bathroom into a relaxing haven. At Stone Tile Company we also stock great Sparkle Quartz tile options. These provide a glimmering, sparkly look and allow you to make a luxurious relaxing space. Be sure to take a look through our fitting and tile pattern guides to help you create your dream bathroom with a great buy from Stone Tile Company.